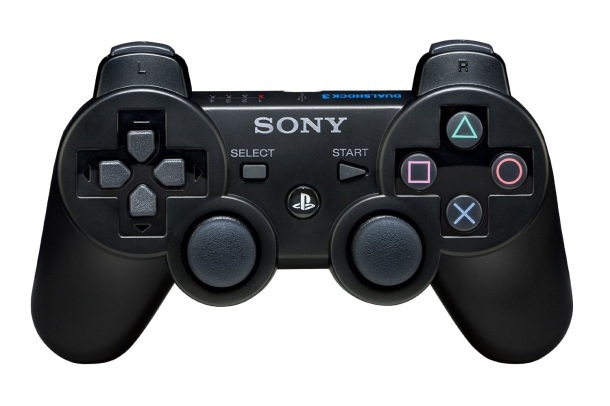 If you want to use a Playstation 3 controller to play games on a Mac, you’ll find that connecting the PS3 controller and syncing it for use with Mac OS X games is actually quite simple, regardless of what version of Mac OS the Mac is running. We’ll walk through how to quickly connect and configure a wireless Playstation 3 controller with a Mac, and how to troubleshoot some basic issues that you may encounter along the way. You’ll be up and gaming with the gamepad in no time! To get started, you’ll need a Mac with any modern version of Mac OS X, Bluetooth support, a standard Sony Playstation 3 wireless controller that has a charge, and the Mini-USB cable that connects the Playstation 3 controller to a console or USB port to charge it. Note the USB cable is only needed to set up the PS3 controller initially, and for charging it when necessary, the setup will be for the wireless usage of the Playstation controller through Bluetooth. You’ll also need a game or app that supports controllers, most of which do. Assuming you meet those requirements, let’s get the controller connected to the Mac and start using it with Mac OS X. The process of connecting and using a PS3 controller with a Mac is the same with basically every version of OS X beyond Lion, including MacOS Mojave, High Sierra, MacOS Sierra 10.12, OS X 10.11 El Capitan, 10.8 Mountain Lion, 10.9 Mavericks, 10.10 Yosemite, etc. Now that the Playstation 3 controller is connected to the Mac wirelessly, you can use it with any game or gaming app that supports controllers. It will work the same as any other USB or Bluetooth gamepad at this point, so configuring it for usage with individual games can vary slightly. Typically you’re looking for “Controls”, “Controller”, or “Gamepad” settings available within in-game Options, Settings, or Preferences, or sometimes an Input menu, and you may want to customize the individual buttons on the PS3 gamepad for each game or app. Common emulators support controllers too, so if you’re a retro gaming fan you’ll find the excellent emulator app OpenEMU works well with the Playstation 3 controller in OS X. 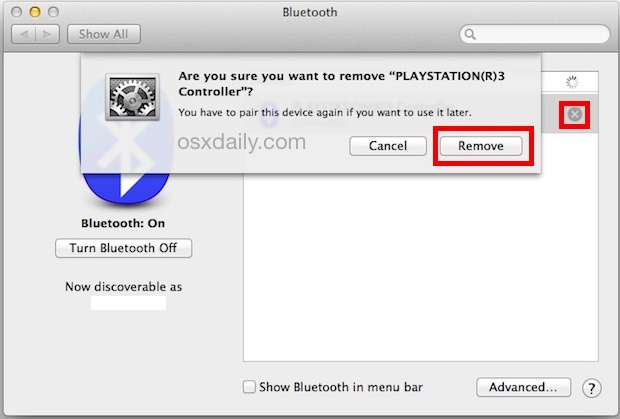 If the Playstation 3 controller is not found by Mac OS X when plugging it in and turning it on, you may want to turn Bluetooth off and back on again on the Mac, this can help with the discovery process. Sometimes you may go to use the controller in a game and you’ll find the PS3 gamepad lights blinking constantly and going nuts, this usually means you need to re-sync the controller or that it wasn’t set up properly to begin with. Just disconnect and re-sync it and should be good to go with the Mac again. Also, be sure the Playstation controller batteries are charged, and that the controller is within a reasonable distance to the Mac so that the signal is sufficient (you can always check the device Bluetooth signal strength if you want to, or if you’re working with a more complex setup you can actively monitor the Bluetooth signal from Mac OS X while you configure the gaming setup). If you’re doing this for troubleshooting purposes, just follow the above instructions to re-sync the Playstation controller to Mac OS X and typically it will work fine. Remember that Bluetooth devices that constantly cycle between being connected or disconnected often have low battery or some exterior signal interference. You can also check the PS3 controllers battery remaining from the Bluetooth menu bar item if you suspect a low battery to be causing issues. Otherwise, enjoy using a Playstation 3 controller with your Mac, it’s a pretty great combination! 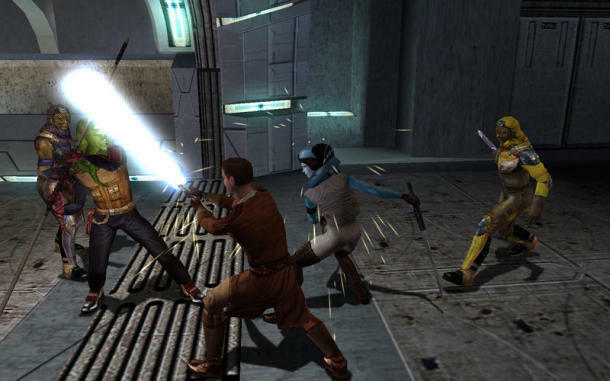 Wow cool I had no idea you could do this, I am going to use this to play KOTOR tonight! Perfect for a little holiday break, eh? My PS3 controller works fine on my iMac (El Capitan), but it doesn’t work with Knights of the Old Republic… How can I make it work? Is this the same with Playstation 4 controllers for Mac? How about wireless Xbox 360 and Xbox One controllers for Mac? 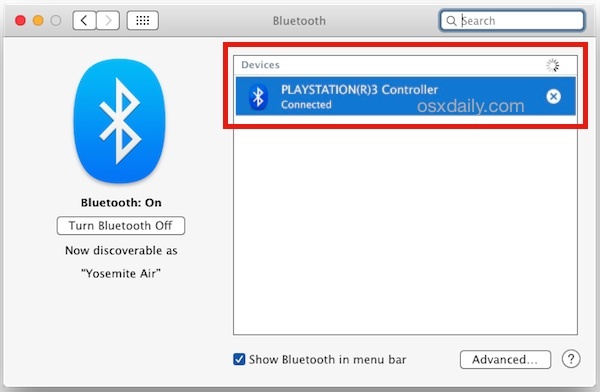 Yes the Playstation 4 controller connects to OS X the same way through Bluetooth. The Xbox One and Xbox 360 controllers need a USB adapter though to work with Mac or a Windows PC for that matter, they do not sync directly like PS4 and PS4 controllers. You need the Xbox Receiver and a driver for Mac OS X to use the Xbox 360 wireless controller with your Mac. Just the driver if you have a USB adapter for the Xbox controller. I think there is a jailbreak app that allows this. Google up “MFI controllers” and you’ll find quite a few already exist. The Steel Series Nimbus is pretty decent. I was able to pair mine without plugging it in by enabling Bluetooth on the Mac and then turning on the Playstation 3 controller right next to the Mac, it found it, connected, immediately usable. Easy! I never get to step 6; the disk keeps spinning. Charge the PS3 controller first, then open Bluetooth and turn Bluetooth on, then connect the PS3 controller via USB to the Mac, press the ON button on PS controller, it will sync and you can disconnect and it works. As long as the Mac says “Connected” it will work. After all, I only bought the controller, not the whole game system. It’s actually an Afterglow controller, but PS3 compatible. Afterglow isn’t a “remote control”, so Bluetooth probably isn’t an issue. Emulation of a copyrighted game ROM (such as Square Enix’s Chrono Trigger) is illegal, and you shouldn’t be encouraging it like that. There are plenty of legitimate games (example, on Steam) for Mac that support external controllers. What’s wrong with emulating games that we own? That’s like saying you can’t turn your own CD’s into MP3s. Chrono Trigger is available for iPhone and iPad (which it plays terrible on because of the dreadful controls), and I have the SNES cartridge laying around collecting dust. Maybe if Square would release a version that played well I’m sure many users would not want to emulate it. Fnordmeister & Square Enix – you guys are dorks! Been using this neat feature for quite a while, also i have to say that in combination with software like OpenEmu, it makes Mac an awesome retro-gaming platform. Sadly Apple TV has some serious lag, so i would advice against using it for making your TV into the console screen. You can’t check the battery level on the PS3 controller. If anyone knows how, even with Swift or Objective-C code, please share. The ps3 controller lights show you the battery level, there are physical battery indicator lights on the controller itself. You can also disconnect it by pressing the “PS” button for a while, like 5 seconds. The red lights next to the left triggers will shut off and the controller will “turn off”. Many Steam games support PS3 controller, but some of them have some driver issues like Borderlands 2 where the game thinks you are constantly pressing the left arrow and your character just endlessly runs to the left. I follow the steps but my controller doesnt show up in devices? Cant work out why! Anyone heard of this? Double check that you have Bluetooth enabled on the Mac (cycling it OFF and back ON is sometimes helpful to rediscovery of devices) and that the PS3 controller is charged enough to send an adequate signal. I just ran through the process again with two different Macs, on one MacBook Air it was not detected until the Bluetooth preference panel was open and the controller was plugged in and turned on, whereas the other found it immediately. What version of OS X are you running and do you have other Bluetooth devices active? Does the controller show up as a hexadecimal name in Bluetooth preference panel but not connect? @Felix same here. Tried on an old and new Air. No success. I follow the steps as described but I only get “00.26.5c.0f.5d.3f Not Connected” in the Bluetooth devices list. The lights on my PS3 controller continue to blink. I am using OS X Mavericks. Can someone please help. I, too, have zero luck connecting my PS3 controller. It shows up in the Bluetooth MENU (in the menubar), but NOT in the Bluetooth system pref. VERY odd. Also running Yosemite. By the way, while I can SEE the controller actually named and available to connect in the Bluetooth menu, I can’t successfully pair with it. Oddly, if I disconnect the device, then press the PS button and hold for 1-2 seconds to enter pairing mode, the computer does SEEM to pair (it shows “Disconnect” in the menu, indicating some successful pairing). But I am never presented with the pairing code screen (other sites indicate this as necessary, code “0000”). In any event, after about 10 seconds, the pair is dropped. Very frustrating. In new versions of OS X like 10.11, 10.10.2, 10.9.5, there is no need to pair anything and you won’t need to enter the pairing code 0000, that is only necessary in prior versions like 10.8 and before. That sounds cool… except that my device doesn’t stay paired. It hangs on for about 10 seconds, then “lights out.” While connected, the name of the device is in BOLD in the Bluetooth menu and indicates “Disconnect” (meaning, I surmise, that it is connected); after the aforementioned 10 seconds, it goes back to regular, non-bold type and the option to “Connect” returns (indicating, obviously, that it is not connected). What to do to KEEP it connected? I’m having the same problem, although I’m now suspecting my controller is counterfeit. Is is possible that this is the issue you were having? Is it possible to use multiple wireless PS3 controllers simultaneously on a Mac game? Specifically 4 players at once for a game like Broforce? Or at least 2? And how woyld this be done set up? Thanks! If anyone is trying this on Yosemite, it looks like Apple (accidentally or on purpose?) removed support for bluetooth pairing for the PS3 controller from it’s IOBluetoothHIDDriver.kext. There are a bunch of system logs which point to this when the controller is trying to connect to Yosemite. I am using a PS3 (and PS4) controller in OS X Yosemite, works fine with Bluetooth. What do you mean there is no support for it? Do share your BT kexts and your BT hardware info! I’ve tried endless older drivers and techniques and nothing works. It shows up in the dropdown menu as connected, apps recognize it as connected, but it simply doesn’t work (works on the ps3 no problems ofc). Doesn’t show up in BT preferences. So, I’m trying this for the first time ever (note I have no experience in video games on the computer) and I’m doing what it says, but it doesn’t work. The bluetooth symbol on the top bar has 3 dots on it and when I open system preferences, it says it’s connected, but the type is “unknown” and that it’s not paired. I don’t know what to do. I have a Macbook Air, OSX10.6.8 Snow Leopard, thanks. Retort to my last post. Click the box “show bluetooth in menu bar” within the bluetooth window. Then go to bluetooth menu at the top right of osx desktop. It does show the controller. and now it is working and i am playing shovel knight! Thanks! I tried this but it does not work on CS: GO though. Any one got any answers to fix this, and yes I enabled controllers on CS: Go? Mavericks and Yosemite are notorious for being a hassle to connect any bluetooth device, especially the PS3 controller. You are not providing any solution but rather something that doesn’t work on any OSX 10.9/10. .
Actually, I am using a PS4 controller in OS X El Capitan right now and used PS3 controllers in Yosemite and Mavericks on a regular basis following these exact instructions. Perhaps you are the problem, and you need to read the article and follow the instructions before complaining in the comments, because it works for everyone except for you. That means user error, by you. It is slightly different than PS3 on Mac, I didn’t need the USB cable it found it immediately. 1) In step 4, when I connect the controller to the Mac using mini-USB, the lights on the controller blink slowly 3 times to let me know the controller is charging, then the lights go off and they do not flash again at any point. 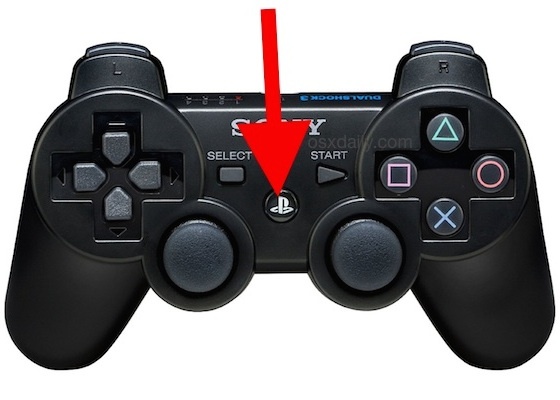 2) In step 5, pressing the Playstation button on the controller does not cause the lights to turn on and does not cause the controller to connect. 3) After step 5, I get the controller working by completing a 6th step: unplug the mini-USB cable from the controller, at which point the controller is shown as connected in the Bluetooth menubar icon and indeed works flawlessly with OpenEmu and other software. Even though pressing the Playstation button on the controller in step 5 caused no change, that step is necessary for this 6th step to work. 4) At no point does the controller register in System Preference > Bluetooth. 5) Finally, from the menubar icon I see the option to disable the PS3 controller as you do, but the battery life is not reported. This is unfortunate as it’s helpful to know the battery life of the controller. On what versions did you test the above steps? 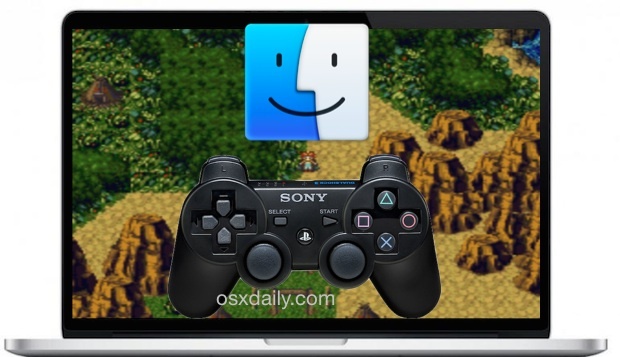 My PS3 Controller was working perfectly on Mavericks and Yosemite. After upgrading to El Capitan it’s now not connecting. Tried to remove the profile and pair again. When I plug in the controller, the 4 lights come on and all four blink slowly. No recognition in Bluetooth Preference Pane. As a desperate measure I deleted my Bluetooth plist file from Library/Prefernences and re-paired all my other Bluetooth devices from scratch – no problems there. Has anyone encountered this and any suggestions to a fix. I wish I were one of the lucky few for this to work. I have a PS3 controller and would to to be able to use it on my macbook pro(s). I have a 2009 Macbook pro and a 2014 macbook pro, one running Yosemite and the other running El Capitan. A PS3 controller does not work on either, either wired or via bluetooth. I think, as others have proposed, that Apple broke the driver compatibility, and they never fixed it. Someone in another thread (reddit?) documented console errors that appear now that would prevent the device from registering accurately. I can get a controller to appear in the bluetooth preferences in either laptop, and I can get it to allegedly pair by pressing the PS button, but no functionality works for the controller while paired and it never appears as a viable controller under OpenEmu while connected via bluetooth. Unfortunately, it just appears dead as well while connected wired. Shame. The PS3 controller works fine in OS X El Capitan and Yosemite, though sometimes you must connect it with USB first then pair it, then disconnect the USB and use the Bluetooth. Mine won’t work exclusively with USB but it works with Bluetooth. I can use the PS3 and PS4 controllers this way. The apps you’re trying to use the Playstation controller with must be compatible with Bluetooth controllers as well, for example I use mine in OpenEMU just fine but it doesn’t “show up” in the app or anything, it just works in the games (SNES emulator for me), but you can modify the button responses for the generic controller setup. In some other games the controller is identified immediately as a game controller, it kind of depends on the apps and games. i don’t see my PS3 controller on the list of bluetooth device. maybe is a old model (or old iOS computer or old controller i have no idea ) ? no i’m sorry, i’ve solve the problem in 2 min.. but i can’t turn on my controller.. is normal? it is connected ? Go into the KOTOR settings and set it to use a USB or Bluetooth controller, the configuration is different per app but KOTOR and SWOTOR supports it. So here’s my question, I’m trying to use the PS3 controller to control my Mac, not just for gaming. I want to be able to use the PS3 controller as a mouse to open files and close windows etc. it doesn’t seem to be working for me in this manner. Any ideas how to configure? Unfortunately while you can use the PS3 controller to play games, you can’t use the PS3 controller as a general mouse cursor. You can only use it in apps that have been optimized to use a game controller. The Mac SystemUIServer does not have that functionality, whereas most games do. does this work for every ps3 controller. for example and At-Play wired controller? Hi, how you make it work with extreme landings? Does this work for Sierra?